You do see some "private" moments don't you? :):) SWAK! Love this one Flo. I love this picture. V! I bet they make a real smacking sound too :>)) Cute, Flo. 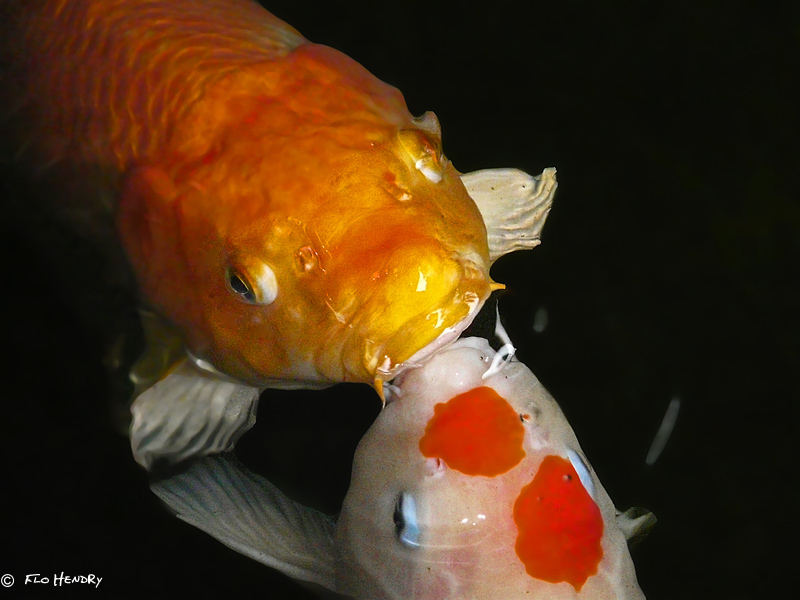 Kissing fishes, how cute. Great shot. This is so sweet....hope it is love and one isn't trying to eat the other one! Great capture!